The more our everyday products and experiences, restaurants and stores, are offered globally (ie Starbucks, Subway, The Gap) the less many of us get a sense of place or feel authentically connected to our own neighborhood. What can those who are fed up with in increasingly faceless, commoditized culture do about it? – Pop to the Shops – an online version of your local main street. – An idea that you’ll see sooner than later (or now in the UK) are neighborhood discount cards of only local indie businesses. San Francisco has a coupon book of only progressive local indie businesses called the Green Zebra Guide. 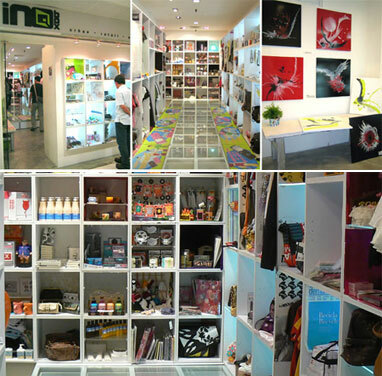 – InQbox (‘incubation in a box’) in Singapore is a store that rents out cubbyholes to locals (~$50/mo.) with highly qualified merchandise to sell (pictured).